Usually when an older notebook begins to give problems, we ask how long a hard drive lasts . If you are looking for a quick response, we would say that it may fail after three years of use. This conclusion, however, comes with many caveats. Studies show that at least 80% of HDs reach their fourth year of operation. However, only half of the units can complete six years. The life span between one hard drive and another is due to several factors. When we want to know how long a hard drive lasts, we have to take some points into consideration. These include the brand of equipment, frequency of use, daily care, and the types of activities performed on the computer. What can cause HD failures? Briefly, we can say that the failures in the HD can happen by factory default or bad use of the same. Imagine that the proper functioning of the hard drive happens through the movement between its components. The reading head floats on the disc without touching it. Then any sudden movement can cause these parts to collide, damaging the magnetic media. Precisely for this reason it is not advisable to move the notebook while the HD is working. Turn off your notebook every time before taking it somewhere. Lack of sudden power, malware intrusion, suddenly shutting down the computer and excessive moisture are other threats to the proper functioning of the hard drive. What should I do in case of serious failures in HD? Now that you’ve figured out how long a hard drive lasts, you know there may be several reasons for the media to crash earlier or simply lose your data. If you notice a problem on your hard drive, there are a lot of NY RAID recovery companies to help. When a problem occurs on the hard disk or in your stored files, it is important not to attempt to repair it yourself. This is because, by opening the media or trying to tinker with your components, you are further compromising your data, making it difficult to recover. Take the HD only to the data recovery services Salvagedata.com. 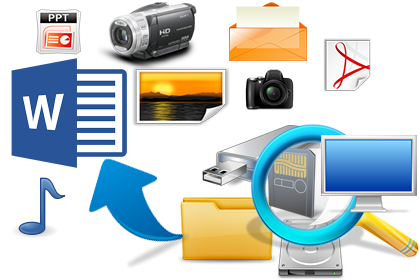 It specializes in data recovery, not only in HD, but also in magnetic tapes, pen drives, SSDs and various other types of technology.